ÖBB Rail Cargo Group and Digital Logistics, a joint venture of Russian Railways and the developer of digital platforms Intellex signed a MoU to promote joint developments, standardization and digitalization of operational processes across Europe’s borders. It would enable faster border processing and a shortening of end-to-end transit times. The Memorandum confirms the interest of both parties in ensuring a gradual transition to digital technologies in the organization of international rail freight services. In this context, a digital logistics platform is to be developed in order to be able to map transport processes digitally in the future as well as to enable electronic data exchange with regard to the planning and coordination of rail freight traffic. “The signing of the memorandum was an important step towards increasing the attractiveness of rail transports in Russia, Europe and Asia. 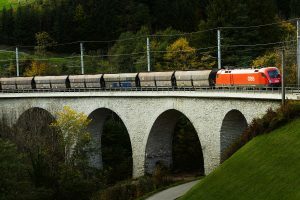 This confirms our determination to reach a new level in international freight transportation through digitalization measures,” Thomas Kargl, Member of the Board of Rail Cargo Group said.